I recently visited Tanzania with a group of outspoken high school students and three travel-seasoned peers. I wanted to find my place; to follow the steps of my grandparents and parents to Tanzania, the central character of my family’s history. I took these notes at night, when only the Maasai guards who protected the camp would witness my mzungu headlamp-illuminated jet lag and delirium. 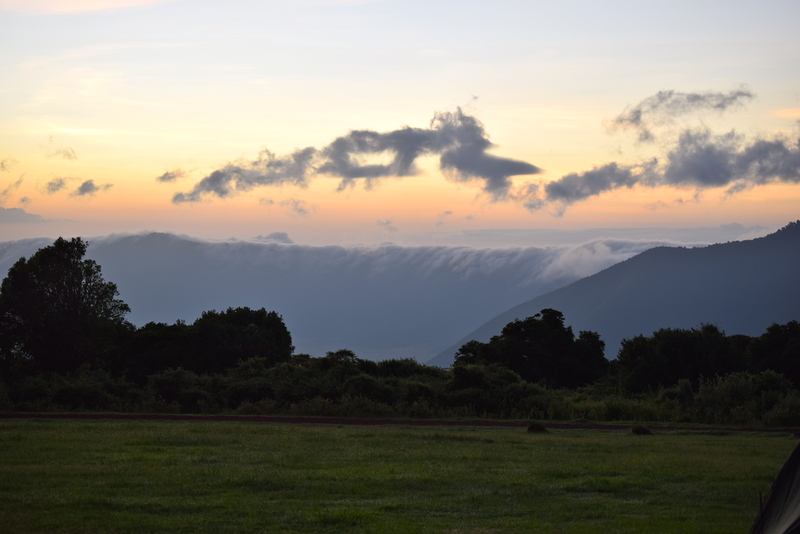 We spend our first week camping at Meserani Snake Park, about 15 miles west of Arusha. Meserani is alive with sound. Late summer thunderstorms modulate the volume and intensity. Motorists honk on the nearby highway; herds of goats, cows, and camels chatter and bleat; birds coo in the trees, underscored by the grating call of guinea fowl families that wander the campsite; insects titter and chirp. Only the staccato of sudden rain drowns the sounds outside. Cool, damp air filters through the rain flaps as raindrops bounce off the tent onto wet blades of grass. Bass thumps from a bar outside the park’s gates; the party there is still going strong at 4 a.m. At dawn, a muezzin calls worshippers to pray. Meserani is, for someone like me, a trial by fire. I’m not accustomed to sleeping in tents for extended periods of time; I don’t find living out of a backpack glamorous, rustic, hip, or especially fun. But, despite frequent nightly thunderstorms, my tent remains dry. I have access to clean water and food that far exceeds what I anticipated. We tour schools and Maasai villages: enclaves, or kraals, of circular houses with thatched roofs and walls made of mud, ash, and dung. 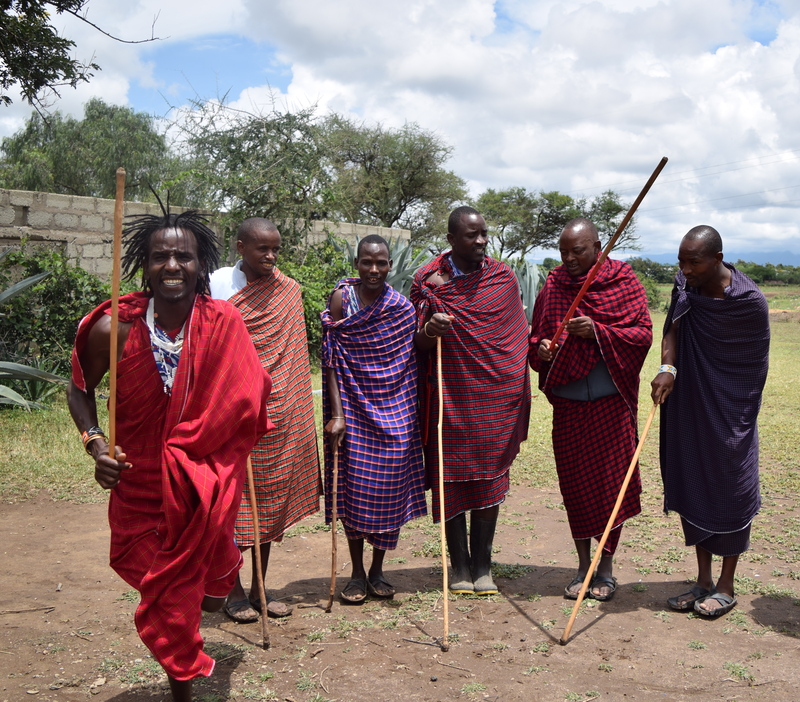 Our Maasai guides recycle tires for sandals – an ingenious all-terrain solution against the elements, especially the blistering heat, which sears the skin even in early morning hours. By day three at Meserani, I learn a root lesson: Acceptance is a friend. I also learn to look up, literally and metaphorically. When I feel alone, I shift my gaze and change my mood for the better. 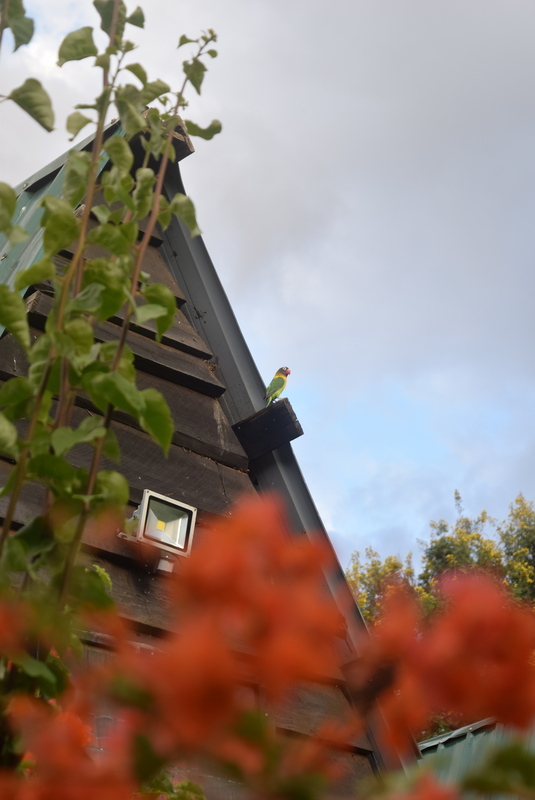 I become enchanted by the lovebirds at Meserani, who build their homes in the safety of wooden huts. I spend a disproportionate amount of time photographing them, and I am happy to do it. I discover hornbills and hanging nests. I don’t consider myself a textbook bird enthusiast, but it is not lost on me that the universe is sharing so many beautiful things that take flight. Lush rounded hills surround the crater – we could be driving through Idaho or Scotland, if not for the wandering tribes of giraffe, who feast from treetops off the sides of the road. 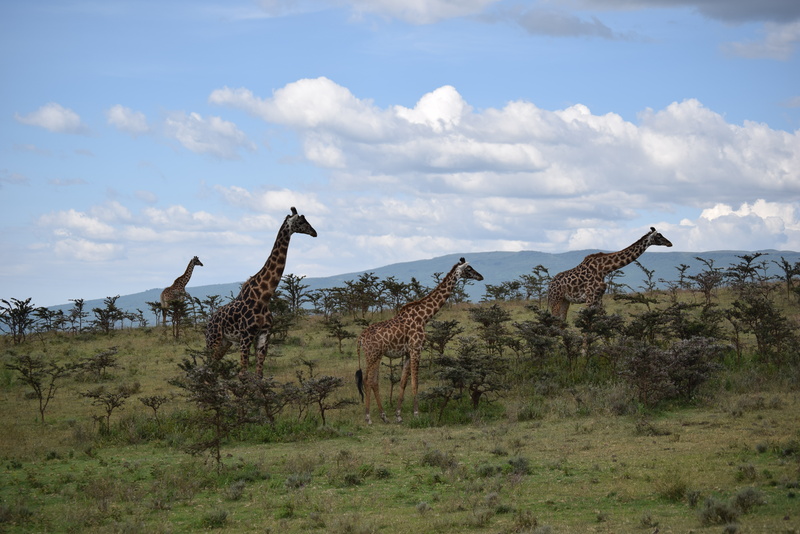 I am not sure whether it is the giraffes or the elevation, but I feel buoyant. We descend the crater’s base into a valley floor that exposes miles of uninterrupted horizon. 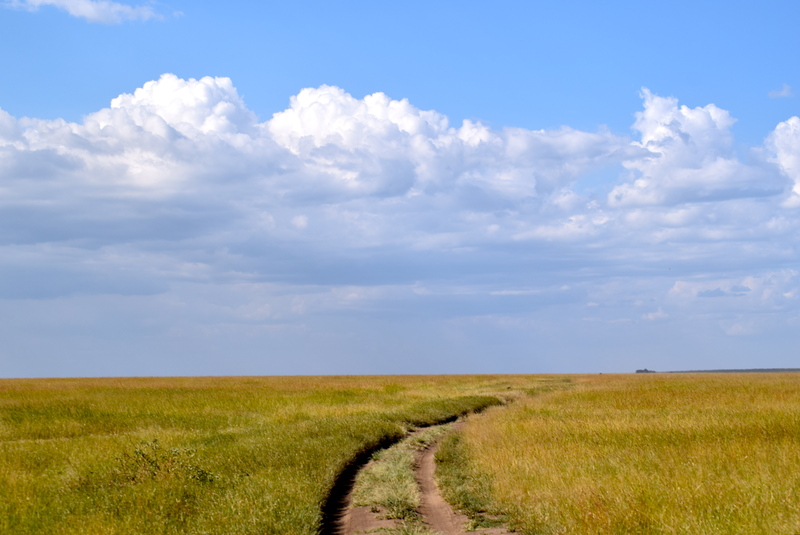 I did not expect the entrance to Serengeti National Park to be so vast: tall, yellowing grass rustles in every direction as far as the eye can see. We raise the top on the safari truck, giving us shade from the relentless sun and access to a welcome breeze. We drive towards our campsite at Seronera, roughly midway into the park. 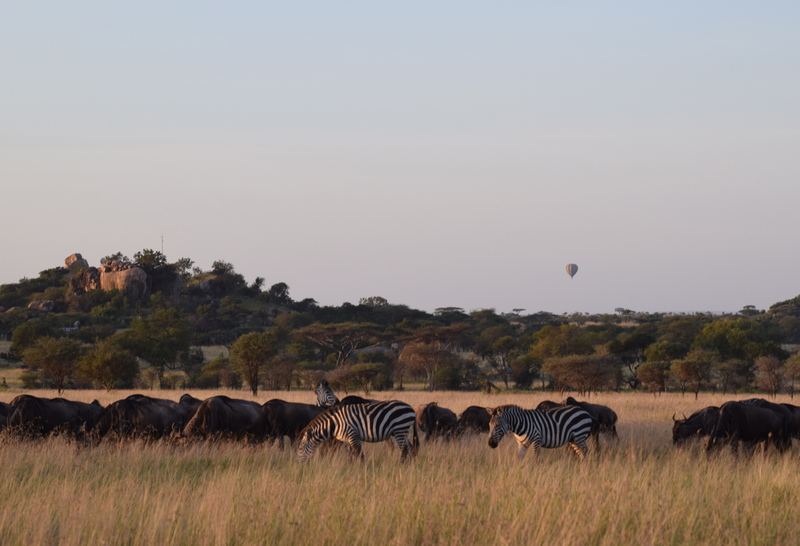 Zebras and wildebeests flank the road. Most of the noise vanishes; the only chatter here comes from the adolescent creatures inside the vehicle. Standing in sock feet on the truck’s upholstered seats, our bodies pliant and bouncing with the ruts in the road, we watch the late afternoon sun cast rosy golden hues in an all-too-short “magic hour” before setting into a long Equatorial night. What soggy tents? What annoying guinea fowl? 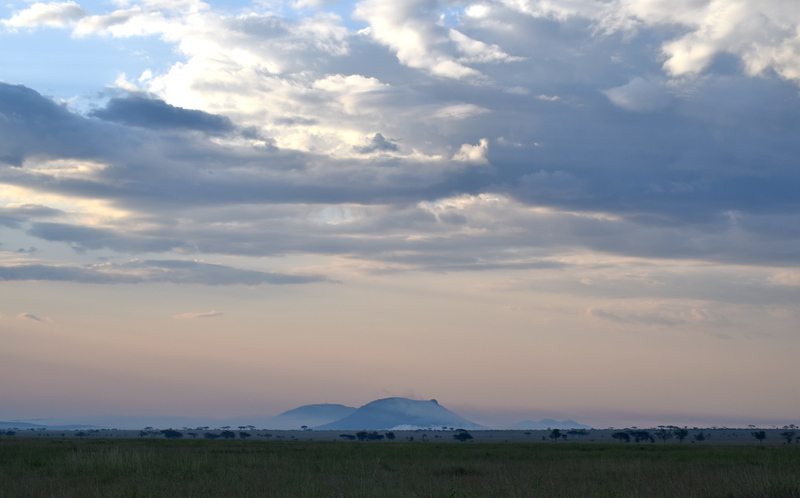 The Serengeti frees the mind of complaint. We wake up to elephant families, wandering languidly through the dewy landscape, and lionesses fending off hyenas from a recent kill. A herd of purple-grey hippos capitalize on a recently rain-filled pond. Storks line treetops. 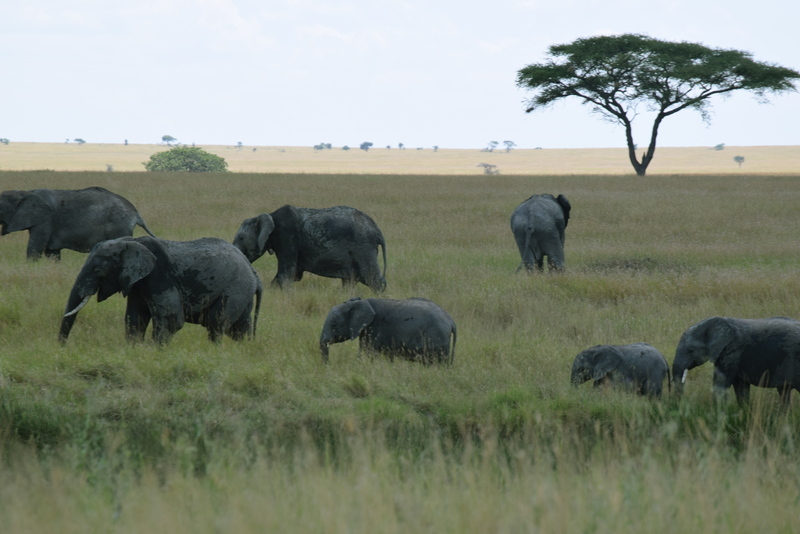 In the green passageways of the Serengeti, I consider pleading with our guide to let me out of the truck. This is my stop. 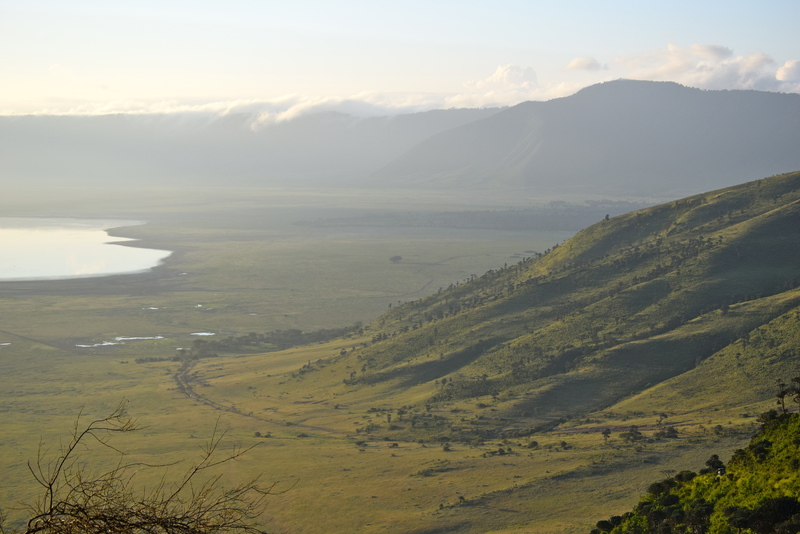 We return to the crater’s rim for the last night of safari. The amethyst sky explodes in milky, bright constellations. Several of us stop in our tracks on the dirt path to and from the restrooms, captive to the stars; our headlamps narrowly prevent our silhouettes from crashing in the dark. Baboons we cannot see scurry through the grass. Hyenas whoop and bark to one another. Lightning flashes in the distance. In the morning, fingers of fog mute the sunrise.